How has everyone's week been so far? It's been a slow week here; quiet with Miss C back in school and hubby still away on business. Time enough to do a couple of layouts this week. 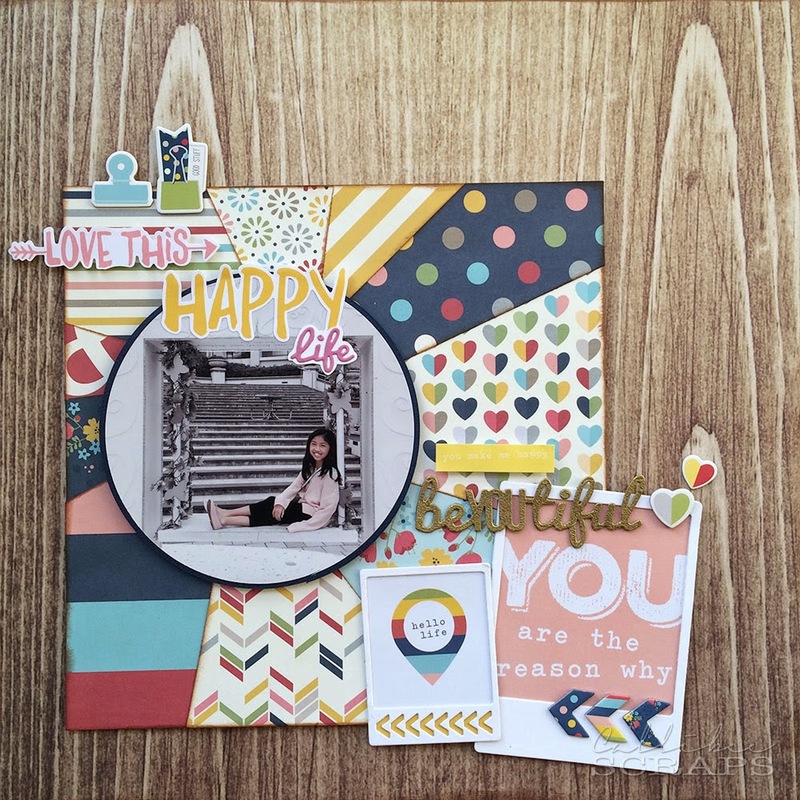 The patchwork square is a shrunk down version of a full 12"x12" patterned paper which I felt was too big for the page. I just cut out the patchwork from the full page and assembled it on an 8"x8" square before pasting it on the wood grain background. I die cut the polaroids and added some journal cards in the frames. 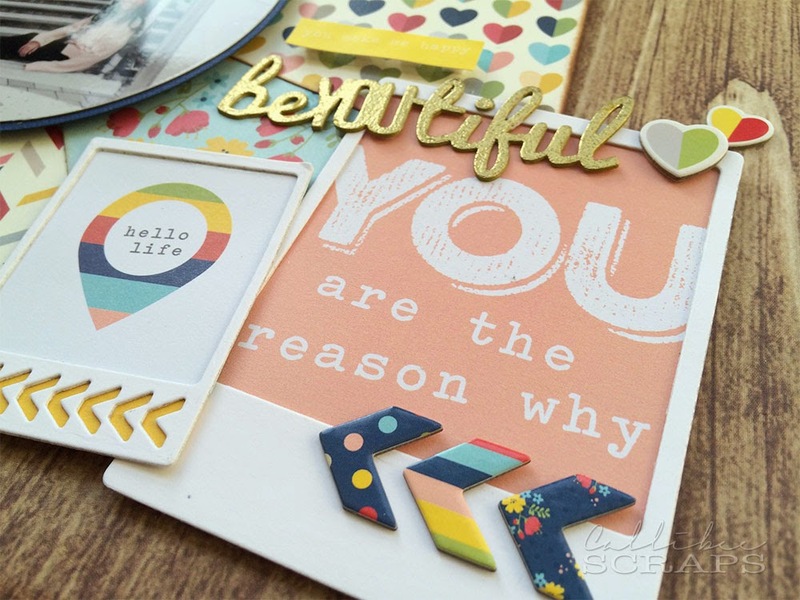 For the title, I die cut the 'beYoutiful' and added gold embossing powder. 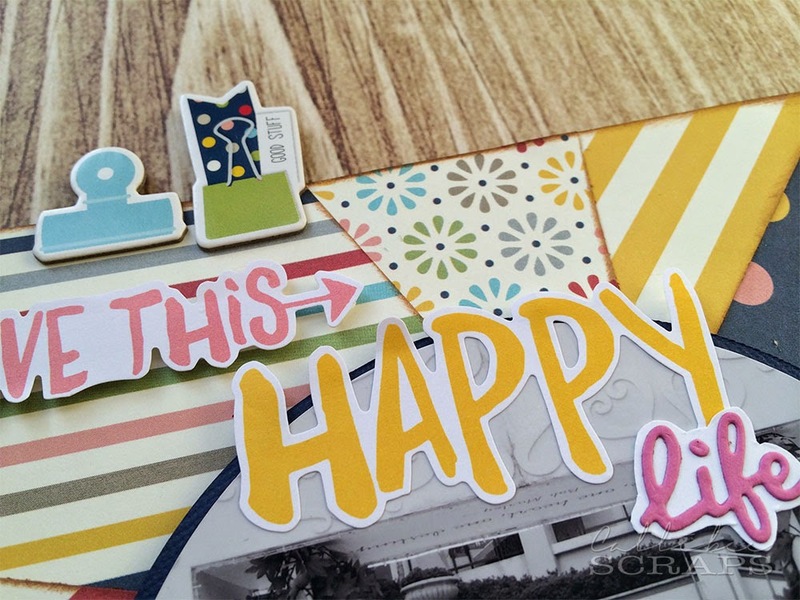 I wanted to add a secondary title so I die cut the 'life' and added a white border around it to match the other ready die cut words that were in the embellishments pack.